With chapters spanning across the east coast, the members of Kappa Delta Phi National Affiliated Sorority (N.A.S.) breaks down the stigma surrounding Greek Life and brings a new perspective on what it means to be apart of a sorority here at UMass Lowell. 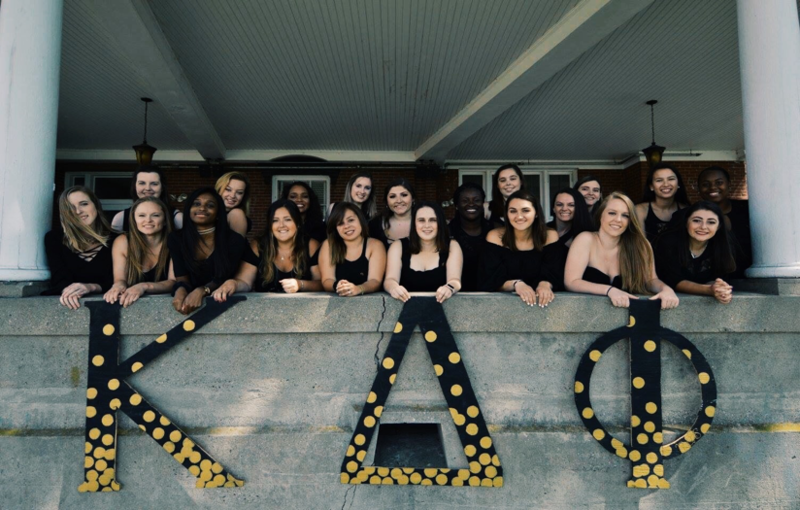 Kappa Delta Phi N.A.S (also known as KY) makes up one of the four sororities on campus and one of 10 Greek Council organizations at UMass Lowell. The recent years have brought the negative stigma surrounding sororities to the forefront of college and university life. With horror stories of hazing incidents and binge drinking accidents, sororities are too often viewed as party-first organizations. The women of Kappa could not be farther from that fallacy. The sorority paints a picture of strong women in leadership who strive for the utmost success on and off campus. Incorporated in 1977, Kappa Delta Phi N.A.S.’s purpose is to promote academic achievement, to encourage community involvement through philanthropy and to cultivate the everlasting bonds of sisterhood. The Kappas embody the values of leadership, generosity, charity and integrity. Their mission as a sorority is to encourage higher educational ideals, to promote a spirit of citizenship, individual character and fellowship, and to oppose discrimination, on the basis of race, color or creed, in order to strengthen and preserve the bonds of sisterhood. A few sisters shared their thoughts on how being a sister of Kappa Delta Phi N.A.S. and why they wears the letters: “When I transferred to UMass Lowell I didn’t know anyone and really wanted to become an active member on campus. I stumbled upon Greek Life and after attending KY’s events; I knew that the sisters were genuine, kind and amazing people and I was immediately attracted to an organization that emphasizes philanthropy and academic success. I am so thankful I put myself out there because I found my best friends for life,” said Lauren LeBlanc, a senior majoring in political science with a minor in criminal justice. “I joined Kappa because I found a community of girls who I could relate to. They instantly felt like people I have known my whole life and have now become my family. We are sisters who stand for philanthropy, academics, fundraising and sisterhood. This year we are raising money for the Alzheimer’s Association to raise awareness and funds for preventing Alzheimer’s and dementia through education and advocacy. Some of our other philanthropy events are focused on volunteering to Boston Children’s Hospital Cancer unit donating cards and arts supplies, homeless shelters in Lowell, the Boys and Girl Club Inc., the Great Strides cystic fibrosis foundation, and St. Jude’s Hospital. We strive on giving back and making our world a happier and kinder place,” said Tatiana Mammolette, a junior majoring in psychology with a minor in criminal justice. Interested in meeting new people with similar goals and values? Enjoy volunteering and making a difference in your community? Get to know the sisters of Kappa Delta Phi (N.A.S.). If interested in being part of the sorority, please contact the sorority’s recruitment chair, Tatiana Mammolette at Tatiana_Mammolette@student.uml.edu.